In the spring of 2020 IU Bloomington will host the National Debate Coaches Association National Championships Tournament. Hundreds of high school students from around the country will compete for a chance to be crowned national champion in one of three seperate debate events. For several days IU will play a part in being the center of the high school debate universe. The debate program's bid was accepted because of Bloomington's outstanding academic and conference facilities as well as our team's proven tournament hosting track record. Since 2010 IU has hosted over 2000 high school and college debate participants. The NDCA is an outstanding organization that is dedicated to debate pedagogy, coach development and retention as well as expansion of debate opportunities around the country. 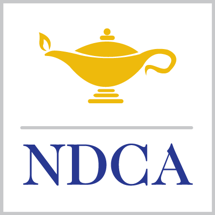 If you would like to learn more about the NDCA please navigate to their website by clicking here.